Welcome to your new favorite fat. 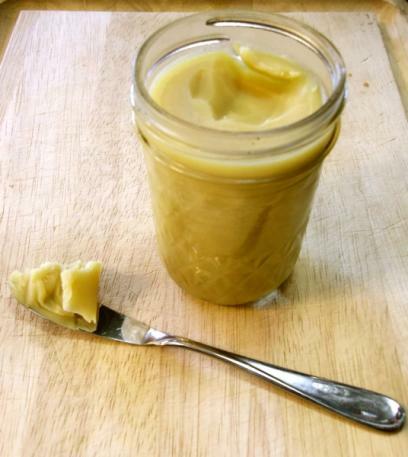 Ghee is a form of clarified butter, which is just butter without the milk/dairy solids in it. It’s those solids that cause butter to scorch at a high temperature, which is why butter is not your best bet for sautéing or frying at high temperatures. However, with the solids removed, ghee has a higher smoke point even than olive oil and coconut oil, and those high temperatures become your friend again. Dairy free: With nearly all of the milk solids (lactose and casein) removed, it can be tolerated by those with lactose intolerance. It’s Paleo-friendly as well. I've come to find that certain situations are handled best with a hot beverage. Waking up to a gray morning, for instance, or stretching out on a quiet afternoon with a book in hand. Or, say, after getting caught in a warm August rainfall on a Sunday walk (hey, since when does it rain around here?). My beverage of choice for these times: a steaming cup of chai tea. There’s something endlessly soothing about the warmth and spiciness of chai tea. The heat of ginger and spices – cinnamon, cardamom, cloves and peppercorns – steeps with black tea to create a rich, spicy concentrate. Mix this in equal parts with milk, and you’ve got a rich, creamy drink that’s unlike anything else. I’ve ordered chai at coffee shops all around town. My favorite versions have a strong punch of spice and just a hint of sweetness. But why shop around? 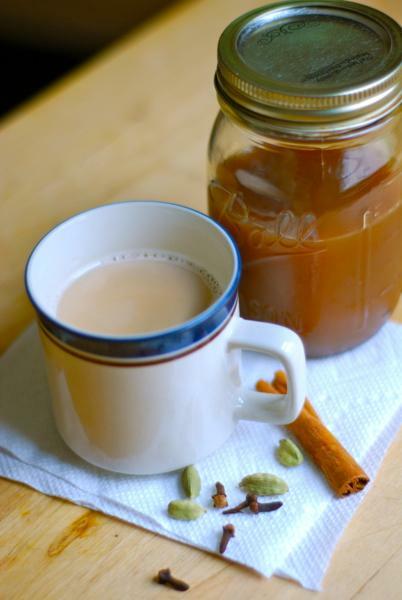 It turns out that the perfect cup of chai can be made right in your own kitchen. If the ultimate DIY project is one that is surprisingly easy, and drastically better than the store-bought stuff, then I’ve got the world’s greatest food project for you: homemade ricotta cheese. 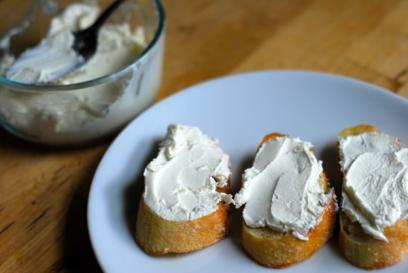 Ricotta cheese was never a serious player in my food repertoire. It had typically been a background note, layered in lasagna, stuffed into pasta shells, stirred into a casserole. Never did it stand out as a main ingredient to celebrate. But then, recipes for homemade ricotta started popping up on the Web. And, some of my favorite bloggers were singing its soft, creamy praises. I’m always up for a cooking project, so I decided to see what all the fuss was about. And here’s what I learned: wow, it’s easy, and wow, it’s good.